Our trends list includes: climate change, disease trends, indoor mapping, Esri storymapping, and low cost storage in the cloud, many of which are linked in importance. Climate Change mapping analysis is a vital part of the big picture looking at how to manage the crisis of climate change globally. The the 21st Conference of the Parties (COP21) of the U.N. 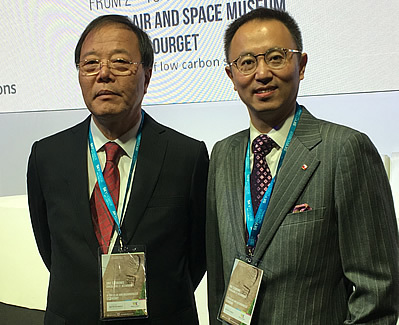 Framework Convention on Climate Change (UNFCC) held in Paris this year called for an end to fossil fuel emissions by the year 2050. This amazing event came on the heels of the plane crash in Egypt caused by a terrorist bomb, sending shock waves of sadness around the world. Jim Tobias, Senior GIS developer, Northrup Grumman Contractor, Center for Disease Control and Prevention, provided the above links as well as others in this article to enlighten some future trends. According to Ed Mazria, Architecture 2030 Founder and CEO, the long term goal of the resultant Paris Agreement committed almost 200 countries including the U.S., China, India and the EU nations, to keep the global average temperature increase to “well below 2 degrees C above pre-industrial levels and to pursue efforts to limit the temperature increase to 1.5 degrees C”. 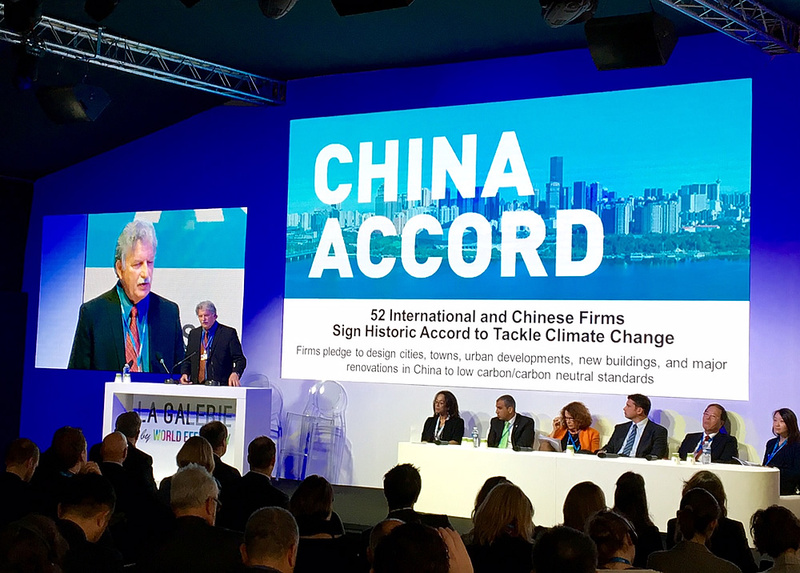 The China Accord is a manifestation of the efforts of architects and planners in China and internationally to lower greenhouse emissions in the build environment. At two primary geospatial events last year, keynote speakers spoke on the topic of epidemiology. In our Update on Ebola, Epidemiology and Geo-Intelligence blog outlining the experiences of several who had been on the front lines of the Ebola epidemic, Dr Bruce Aylward talked about the disease from his perspective. What was indicative of for everyone involved, was that to fight a disease of such magnitude, responders should be prepared for it on a larger scale than just Africa in the event that it becomes disease that affects the rest of the world. We did see isolated cases of Ebola in the UK and the U.S. in 2014, as well as some other countries. 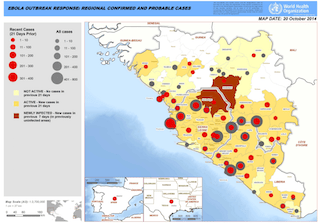 Visual Epidemiology – human stories behind the maps. While indoor mapping has been talked about for many years, it would seem that with the use of more sensor technology, it is coming to the forefront. The need to be able to track indoor assets with GIS has been growing and while initially, it was considered for defense, it is now being used for retail and accessibility. TomTom (TOM2) has announced a strategic partnership with worldwide indoor mapping leader, Micello Inc., extending the reach of its mapping products to include indoor venues. TomTom’s business customers will now be able to use Micello’s pedestrian-friendly indoor maps and venue content with points-of-interest data worldwide. Michael Healander, founder of Geometri, spoke with GISCafe Voice about the evolution of that company, and the recent announcement from Geographic Information Services, Inc. (GISi) an Esri Platinum Partner, that its Board of Directors has formally approved the spin-off of its operating unit, GISi Indoors, as an independent company. The new business is named Geometri, LLC., Geometri is the name of their flagship indoor GIS software-as-a-service product. Now you can do multi-floor routing, wheelchair accessibility routing, routing for how to get to class or through the building at the University of Washington. At the same institution, it will route you by selecting “avoid stairs” to support Americans with Disabilities Act. Esri Storymapping has provided a large amount of data in a novelized way, that is easy to ingest and has revolutionized the way we can get data about a particular event. In another Storymap, the Environmental Integrity Project’s report, “Stopping the Flood Beneath Baltimore’s Streets,” reviews Baltimore City’s sewer system and the challenges residents face from the crumbling infrastructure. The Cloud has been on the geospatial bucket list for a few years now, but it continues to be an avenue by which more data can be stored, reviewed and manipulated. 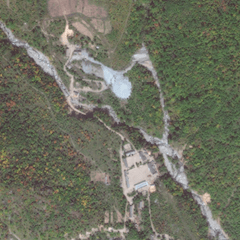 The ability to share high resolution imagery is having a huge impact of world affairs, evidenced by the company SpaceKnow’s ability to show the historical activity at the North Korean Nuclear testing site that followed the reported Thermo Nuclear test this week. Spaceknow used its analytics to detect changes in the location of the supposed nuclear test facility. What their imagery shows is that the test facility has expanded over a larger geographical area in the past few years. According to authorities, Experts don’t believe the test was successful. American geological survey detected some earthquake activity but it didn’t respond to nuclear test. Moreover South Koreans did not register any radiation. Using Spaceknow analytics, we were able to detect changes in the area of the supposed nuclear test facility. The facility clearly expanded over a larger area in the last years. All Images (C) DigitalGlobe 2015. Esri and NASA are collaborating to improve access to imagery and raster data stored in the cloud, by using a combination of Meta Raster Format (MRF) and Limited Error Raster Compression (LERC). According to company materials, MRF is an Open raster format originally designed at the NASA Jet Propulsion Lab (JPL) to optimize web access to rasters. LERC is a highly efficient algorithm that provides fast lossless and controlled lossy compression of image and raster data. Esri was recently awarded a US Patent for LERC, and is making the patented LERC technology freely available to the geospatial and earth sciences community. The advantage of MRF and LERC that Esri and NASA will make available is that organizations will be able to lower storage costs and gain fast access to imagery and data as web services. 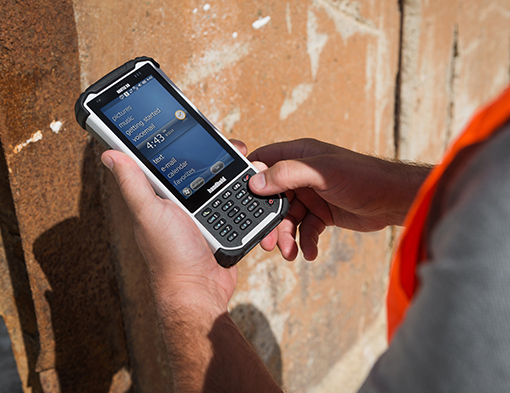 In addition, cloud enabled mobile devices allow data to be taken out into the field and gathered in the field with increasing efficiency. UAVs offer a new exciting way to gather data in the field at less cost than satellite imagery and scanning. Consequently, we will see more apps and ways of facilitating these processes as time goes on. This entry was posted on Friday, January 8th, 2016 at 8:21 am. You can follow any responses to this entry through the RSS 2.0 feed. You can leave a response, or trackback from your own site.